As a long time fan of Mike Oldfield I couldn&apos;t let this one go by! 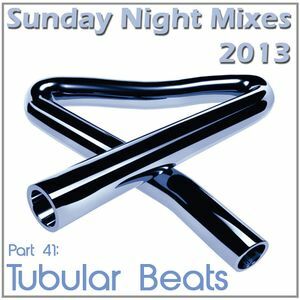 On 1 February 2013 Tubular Beats was released by Mike Oldfield and the German producer York. Unlike previous club remixes of Oldfields work this project was a true collaboration, making use of parts from the original multi-track tapes as well as new parts played by Oldfield himself. This mix features several of the tracks mixed into one adventure so have fun with this modernized tour into nostalgia! Normaal gesproken ben ik niet zo van remixen van dit soort klassiekers maar nu maak ik graag een uitzondering. Erg jummy deze set. Might have a go at mixing this? Won&apos;t be any different? !